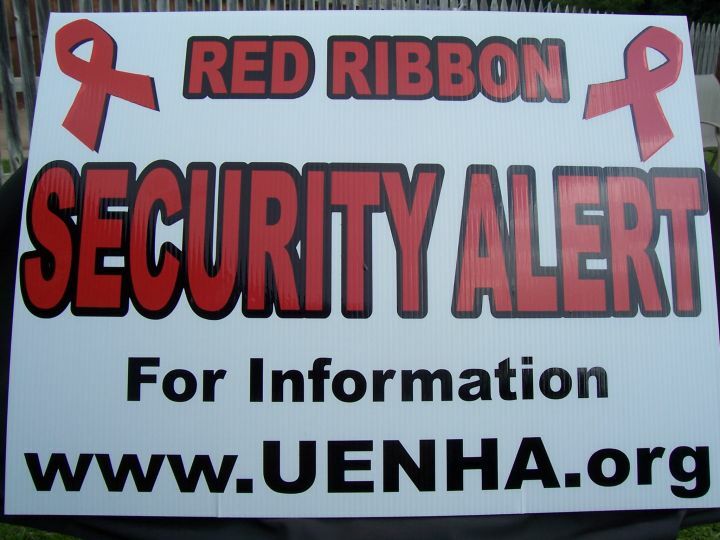 As of August, 2005 we have new red ribbon security alert signs. near the neighborhood and/or another critical issue in the neighborhood. If you see the signs it means you should check our this WEB page for important safety information.